During the holidays everyone breaks out the 156-ingredients, ultra-rich, butter laminated, white sugar topped, “we only eat this once a year” dish. It’s too much. I find myself at a 15-person table searching for the china plate filled with something that I’d eat on a normal day. I’m not saying the 18-layer cake isn’t mind-blowing. But an 18-layer cake at every meal?! No thanks. We end up in a conundrum each year. How do we bring something to the party that is wonderful and will earn mad street-cred, while not going overboard? How to find the balance…? Sweet and Spicy Squash is a lovely option for the holiday spread. People know as a general rule that it takes a while to make butternut squash into anything (street-cred), and the classic move is butter and brown sugar (crowd pleaser). This version of roasted butternut squash keeps with the sweetness of brown sugar, but introduces fresh orange juice, red pepper flakes and ground ginger. Boom! 1) Preheat oven to 350*F, grease a 9×11″ baking dish. Wash the outside of squash, cut in half right where it starts to bulb, then in half again. 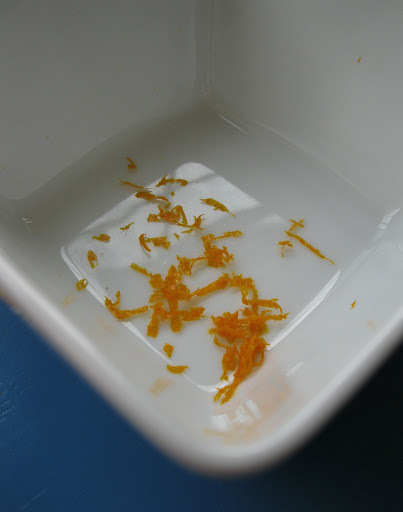 2) Scoop out seeds with a spoon and use a vegetable peeler to remove hard rind. Careful, it gets slippery. 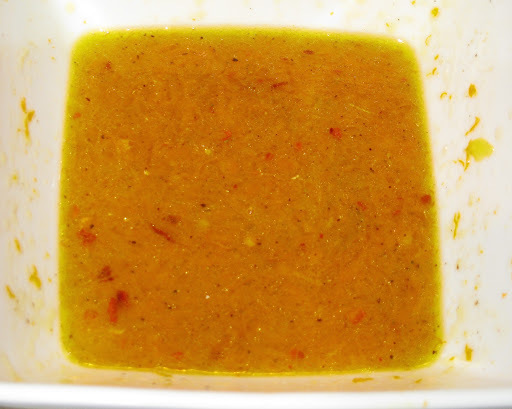 Cut into 1″ chunks and spread into baking dish. Season with salt and pepper, toss to coat. 3) In a small bowl, combine orange juice, zest, honey, olive oil, ginger, and pepper flakes. Pour over squash, give another stir to distribute liquid. Cover with foil, bake for 35 minutes or until a fork can easily pierce the squash. 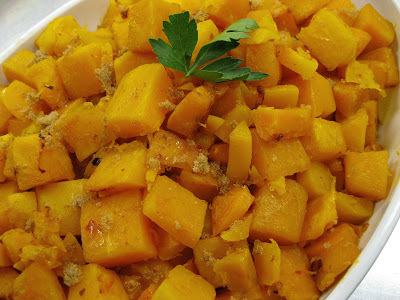 4) Uncover, stir again careful not to break apart the squash; sprinkle with brown sugar and bake another 10-15 minutes. Finish with a dash of good sea salt to serve.